Should you have an Entertainment Lawyer? A good entertainment lawyer can do plenty in all areas of the entertainment industry, sometimes even acting as agents helping artists manage their assets and careers. 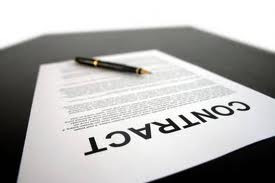 They also draft contracts for artists and bands, review contracts from managers, publicists, record labels, film studios and others to make sure they're legal and fair to the artist or band and then negotiate those contracts. If you are an indie artist that tours nationally and sells a decent amount of CD's and digital downloads, then you probably want the help of an entertainment lawyer. You do not have to have huge "MTV" fame but if you have made a legit business out of selling your music, then you probably need a lawyer to help protect your career. Let's face it, the music industry is 90% business and 10% show. A lawyer can also help artists new to the industry understand how the business works, including which types of contracts to choose, how to avoid bad business deals, what performing rights they have and where to find a decent manager.